Taken as a whole, the quote appears to be quaint and from a different era to that of the Premier League. A quick look at the ownership structure of football clubs shows that the directors/owners are no longer just signing the cheques – they increasingly define the clubs. The billionaire owners of the most successful football clubs rarely originate from or live in the country, let alone have roots in the cities or, heavens forbid, live in the local communities. They typically jet in for special occasions such as cup finals. The focus of their attention is on repaying the huge loans or leveraged buyouts through the TV rights, sponsorships, image rights, stadium naming rights, commercial rights, attendance money, shirt sales… actually just about any form of additional income stream apart for drugs and weapons, as far as I can tell. This applies to all the top clubs such as Manchester United, Chelsea, Manchester City, Arsenal and indeed my own team, Liverpool (truth be told, the latter´s recent success on the field just about justifies adding it to the same league the others). It also applies to the less successful clubs – it is only a matter of degree. Given the extent of billionaire absentee landlordism and the fact that the Boards play an increasingly symbolic role focusing almost exclusively on a commercial role, the Director/Chief Executive has taken almost total control of the clubs and influence all key decisions, including who to buy, sell and the associated negotiations. The epitome of this is the Chief Executive of Manchester United, who covers pretty much all aspects of the club; all roads appear to lead to the financial wizard and single point of contact for the absentee billionaire owner, Mr Ed Woodward. So it is wonderful, from time to time, to rediscover that Shank´s quote is very much alive and kicking as it were… indeed, to the point that it almost defies logic or belief. The case in point was the Europa League quarter-final between Liverpool and Dortmund, which was played over two legs on 07 and 14 April 2016. There are a surprising number of parallels between the two clubs, not least sharing the You´ll Never Walk Alone anthem, the reputation of having loyal fans, their ability to express their passion, the capacity to motivate their teams, etc. Another common feature is the fact that Liverpool´s new manager, Jürgen Klopp, was the manager of Dortmund until the past season. So, of all the most unlikely things to happen, the two teams were, of course, drawn to play each other. Such is football. This was most unlikely because a bare fact separates the two clubs: a gulf in footballing quality. Dortmund is regularly in the Champion´s League, which is widely considered to be a quantum leap above that of Europa League (I personally disagree with this view). I can barely remember the last time Liverpool played in that league with distinction in the recent past. Dortmund is a cut above the current Liverpool team: it is stuffed full of world-class and globally renowned footballers. By contrast, now that Stephen Gerrard has left the club, Liverpool is merely an internationally known club with a glorious football history behind it. The last time it won the Champions League was in 2005 (it also reached the final in 2007) and the last time it won the English league was 26 years ago or before the Premier League was even established. Small wonder that all the bookies were betting on Dortmund doing the same to Liverpool as it had done in the previous round against Tottenham, when they won 5:1 on aggregate. It was very much a case of David (the Reds) vs Goliath (the Black and Yellows), even allowing for the fact that it was a cup competition albeit one over two legs where the best team normally predominates. I watched the Dortmund vs Liverpool and Liverpool vs Dortmund games and they crystallised why I love football so much and why it really is not all about the money or the owners and directors. As a consequence I belong to the Liverpool FC tribe and nothing brings that home more than when I listen to the Liverpool anthem being sung before the game. 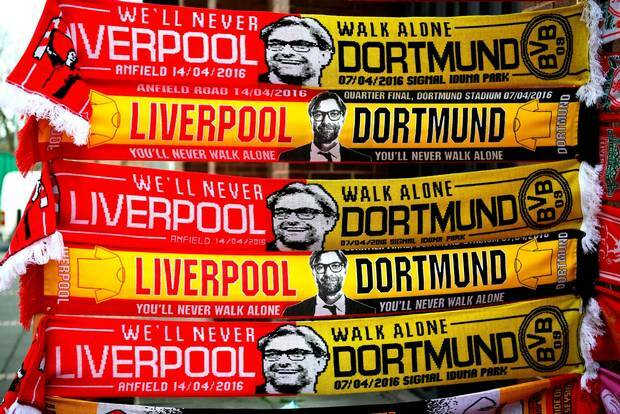 The hairs stood on the back on my head listening to the 80,000 Dortmund and Liverpool fans singing You´ll Never Walk Alone (YNWA); this sense of sharing something is the very definition of tribalism. Although it was half the number, the Anfield version was as powerful and intense, if not more so. In this day and age where individualism seem to matter above all else, it is a rare but no less moving experience for it to see fans united by a song, a genuine sense of camaraderie shared by both sides and even see joint red-yellow/black scarves, something which is normally reserved for preseason friendlies. But most of all, the games showed a bond between the respective teams. The cities were incredibly hospitable and respectful to each other, as should always be the case, but at the same time, there was no doubt where the loyalties lay or the fans commitment to winning and processing in the cup competition. In football, allusions are often made of the crowd being the “12th man” in the football team. At Anfield, and a few other places around the globe, some would say they really are or at least can be from time to time. The fans are passionate, loyal (though they certainly can and do made their impatience known if their team and sometimes manager does not meet their expectations, such as Roy Hodgson) and create such an intense atmosphere that it can intimidate the opposition and/or referee and linesmen. The fans consistently support their team through thick and thin, but it is well know that the fervour is ratcheted up to a notch or two during special games, such as the Champions´League / Europa League. This has been evident again and again at Anfield, where reference is made to “special European nights” such as Saint-Étienne in the 1977 European Cup quarter-final and the Istanbul in the 2015 Champion´s League Final, among others. The charge created by an expectant crowd and the intense atmosphere resulted in a chemistry at Anfield that cannot be ignored – it was even evident on TV screens transmitting across the globe. This is hard to pin down but it is fragile. It could easily have been stifled because Liverpool started disastrously by conceding two goals within 8 minutes giving the team a proverbial mountain to climb in order to get back into the game. Yet the fans never game up on their team or their manager. The fans played their part in the footballing holy trinity, especially during the Anfield Road home game. I have previously written a piece about a German who has managed to make it acceptable to carry a German flag with pride in Britain. The man in question is Jürgen Klopp, who has been managing Liverpool for about 7 months. The Liverpool fans are known for idolising their managers ever since Bill Shakily, but make no mistake about it: respect, loyalty and devotion must be earned. A few months ago the fans were walking out on their team in protest of ticket price hikes (the owners retracted immediately), they were increasingly dissatisfied with their manager (Brendan Rogers and Roy Hodgson before him) and were walking out on their team before the final whistle, even when there was sufficient time to possibly equalise or even win the game. A change has been evident in resent months and that is due to the new manager and only him. To their credit, the fans understood his point and their role in the holy trinity of football; if they give-up on their team, then what is there for the team to play for? The same goes for the players. They responded to their manager and the team has stage several improbable comebacks to draw and even win games against the odds. The man is passion incarnate. So much so that one of the TV channels actually decided to introduce a Klopp Cam just to record the manager throughout the first match. He is a walking, living drama during a football match. He demands everything of himself and thus also of his players. It is hardly surprising that he also insist upon the same of the fans. He has a genius for tapping into the vein of feeling and he obviously gets the importance of getting the team and the fans working alongside him, as one of the three important cogs in the wheel. So when you have a passionate manager, an experienced manager, a tactician, a motivator and a successful manager that could have gone to almost any club on the planet that he chose to, this is a powerful concoction. He chose to come to Liverpool, effectively a mid-table team too often glorying in its increasingly dim and distant past. You have someone who instantly connected with the club, its traditions and its fan base. The effect on Liverpool F.C. as a team and as a club has been electric. What you get, without a shadow of a doubt, is Shankly mark II. They are different yet cut from the same cloth. One was a Scot, the other a German. Both passionate and at one with the fans. Both with a gift for memorable one-liners and hugely charismatic. One built the foundations for a club which became the most successful English club (now exceeded by Manchester United) and one of the most successful European clubs. The other has rebuilt two clubs, firstly Mainz into a successful team and Dortmund into an elite international team. Both also know that there is a price to pay for the degree of intensity that they generate. Shankly retired abruptly after 15 years of managing Liverpool and Klopp resigned from both his former clubs after 7 years. No footballing holy trinity can last for ever, though 7 years is an eternity in modern football management, Alex Ferguson and Arsène Wenger aside. When the manager “gets” the club they manage, understands the history of the club and connects with the fan base, something starts which defies logic. He may not have won a single thing yet, but there is no doubt that Liverpool will. It is only a matter of time and faith. The two teams were mismatched in quality and experience. The Liverpool team that won the Champions League in 2005 and lost in the final in 2007 is long gone and was arguably never a top quality team, though it did have an excellent manager and a sprinkling of top players such as Gerrard, Alonso, Carragher, etc. Dortmund has consistently qualified for the Champions League and was a losing finalist in 2013. It has won the Bundesliga twice and is almost invariably second (except for last year, who is why it is in the Europa League this time around). It has been playing spectacular, high intensity, entertaining football for years, turning it into a globally recognised team stuffed full of world-class players, even if the cream of the crop is regularly poached by the Bayern Muenchen, Real Madrid and Barcelona. It is known and appreciated by neutral fans the world over and Klopp is the main reason for that. Liverpool does not have a single world-class player, just a global reputation based on unparalleled success in the 1970s and 1980s – a good quarter of a century ago. But Liverpool now has two parts of their holy trinity: amazing fans and an astute manager – motivator. If you can combine this with a team willing to do whatever the manager required and the fans insist upon, just about anything can happen. And it did. In the first leg, Dortmund played sluggishly and below par. Liverpool more than matched them and scored the first goal. Dortmund equalised and the draw was a fair result. The Liverpool team was praised in England and the Dortmund team was hammered in Germany. Their impressive manager, Thomas Tuchel, the success of Klopp both at Mainz and at Dortmund, implied that the media build-up to the game had affected his team. The return of Klopp to the city and club that loved him and made him one of their own, to his stomping ground for 7 successful years, to the fans that will always idolise him and to the team that he put together was the reason for Dortmund´s poor performance. I believe this. If a footballing holy trinity had been established in Dortmund, it leaves emotional currents and eddies that can have unpredictable effects. At the same time, Tuchel promised that this would not be the case in the return leg at Anfield. They would play attacking football. The fact that football has the capacity to defy logic, rhyme or reason became apparent in the return leg at Anfield Road. Liverpool had taken home a slender away goal advantage from the 1:1 draw (if there is a draw, the club that scores the most goals away from home wins the game). However, when Dortmund´s attacking trio comprises players such as Reus, Mkhitaryan, Aubameyang who between them had scored zillions of goals leading up to the game, this was never going to be such of an advantage, and so it proved. Dortmund scored after 5 minutes, blowing away LIverpool´s slender advantage. After 8 minutes Liverpool imploded by conceding a second goal. This meant that Dortmund were 1:3 up on aggregate. Because of the away goal rule, to progress to the next stage Liverpool would have to score 3 goals before the end of the game. The Dortmund fans were jubilant and with good reason. Their team had not been beaten in 18 games and had tossed aside all challengers, including Tottenham. Just to illustrate the point, it is extremely hard but not impossible to reverse a three goal deficit in a game, especially against a top 5 team in the world. Dortmund had not lost a game in which they had led by two goals for over 20 years. Liverpool fans are knowledgeable. They knew the odds were stacked-up against their team. Yet they did not give-up on either team. The same applied to the manager; watch Klopp´s body language throughout the game. Disappointment is there for all to see when Dortmund scored but so is the passion, the determination and the absolute desire to win. Two parts were solidly behind the team but would the team form the footballing holy trinity? The answer came shortly after the break. With the manager willing them on maniacally and the fans attaining an almost unbelievable level of intensity, the team responded. Within a few minutes they had scored a goal. But a Dortmund team packed with experienced international players did not wilt. Reus scored a superbly executed goal that would have deflated almost all teams and fans. Once again Liverpool needed to score three goals in less than 30 minutes, normally mission impossible. Cometh the hour, cometh the footballing holy trinity. The only player that comes close to earning the “world class” label, Coutinho, scored. The score now at 2:3 required another two goals for Liverpool to come on top, with 24 minutes left. The decibel level went up. The players, the fans and the manager could sense something, something indescribable but no less real. The Dortmund players feel it too but instead of energising them like the Liverpool team, it achieved the opposite. It unnerved them and they entered a phase of the game that they will probably will never be able to explain to themselves of anyone else. They became nervous, they lost shape, they were incapable of taking advantage of the increasing risks that the Liverpool team began to expose themselves to in the search for two more goals with time running out. The next goal was critical and it fell to a Liverpool defender, Sakho, who has only ever scored one goal of the team years ago. It was now 3:3 but this was not good enough. The away goals rule meant that Dortmund would still win. The fans sensed that a footballing miracle like Istanbul was on, as did the manager and the team. The Dortmund team, a highly organised, tactically astute and hugely experience team that would normally close down a game had no answers for what was happening. Belief drained from them and it was inevitable that the wining goal would come during extra time. Another defender with only one goal for Liverpool, Dejan Lovren, scored the winner in extra time. A team full of superior players with a huge lead had just been blown away by Liverpool within less than 30 minutes. There is no need to explain anything: Dortmund simply could not resist the power of the Liverpool holy trinity. The game did not reflect badly on the Dortmund team. The team, the fans and the manager are a class act… this was one of those days. Of course, moments when the three elements of the footballing holy trinity gel in this manner are few and far between. But miracles do happen and they happen more frequently for some than for others, in some stadiums more than others. And they certainly happen more frequently at Anfield. This game will live in the memory of Liverpool and Dortmund fans. Winning the next game or wining the Europa League is not important, or at least not for now. The Liverpool footballing holy trinity is back in fine working order and hope soars again. In these days of mass movements of people connected with the refugee crisis, it is rare to find recognition of the European Union’s (EU) freedom of movement of people, let alone any commendations. Rather, the media and politicians tend to focus on the stresses and strains connected with migration and freedom of movement within the EU in general and the volume of refugees heading to Europe specifically. In this article, I argue against the grain of current discourse, fully acknowledging populists’ ability to set the tone of public opinion. I make the argument that the single most important achievement of the EU is the principle of freedom of movement of people across 28 countries. This fundamental right is under attack from many quarters. This article and the MoveMapper™ app presented below, represent my effort to counteract this trend. Freedom of movement of people has the capacity to improve people’s lives, while also raising standards of living for all. We should not allow it to be undermined by short-sighted, populist agendas. Before there were dukedoms, fiefdoms, principalities and eventually nation-states, human being roamed the earth and settled where they chose to. Freedom of movement of people existed in its purest sense: we could go anywhere we liked and the world was our oyster. After the establishment the nation state we became Germans, Britons and so on. Fences, borders, visas and other obstacles restricted the ability to live and work severely and the arena of life was telescoped into national boundaries except for a lucky few, such as diplomats, the military and the well-to-do. The free movement of people: this allows the relocation of citizens between EU 28 countries to pursue their activities, including the abolition of discrimination based on nationality. The EU is dedicated to realising these four freedoms, subject to exceptions where a Member State can prove that they jeopardize a public good (e.g. public health) and are safeguarded by EU Treaty. Of the four freedoms, the most important to the 500+ million people living in the EU, is the freedom of movement of people throughout 28 countries (actually 32 in the European Economic Area countries, which includes Switzerland, Iceland, Liechtenstein and Norway). For me, this is the most fundamental freedom and greatest achievement of the EU. It guarantees every EU/EEA citizen the right to move freely, visit, live, work and retire in any member state without restriction. It applies to all EU/EEA citizens, regardless of nationality and does away with discrimination in the common market. Furthermore, it ensures that certain rights can also be extended to the family members of the worker, including benefits, pensions, etc. None of us believes that we should be disadvantaged in the labour market because of our religion, skin colour or other factors. This freedom means that discrimination on the basis of nationality, residence and/or language is not permitted, while also securing equal treatment in employment conditions, remuneration, dismissal and the receipt of social benefits. If you believe in transparency and fair treatment, there is absolutely nothing that anyone should fear from the freedom of movement of people. On the contrary, this is an achievement that Europeans should be proud of. At the most basic level, the freedom of movement of people means that you and I have access to 32 EEA countries, as well as Switzerland, at the drop of a hat. Not only that, we have automatically the same rights (and responsibilities) as the citizens of those countries. What does this mean in practice? You can retire wherever you choose and transfer your pension without fear of being penalised or restricted by virtue of choosing to live in another EU/EEA country. These fundamental rights are just the tip of the iceberg. Yet this degree of freedom to take greater control of your own destiny would have been considered to be a utopian dream not so long ago in Europe. It used to take hours to cross borders and the long, costly and uncertain bureaucratic nightmares involved in moving countries, getting a job, buying a property, establishing a company, etc. made it a remote dream, except for a small minority. No longer; this particular freedom have been hard won and it is worth fighting tooth and nail to retain. Economic contribution: if economic growth is restricted due to lack of employees or absence of certain types of skill, a labour market of 500+ million makes it possible for economies to continue growing without overheating and resulting in recession. This applies not only to the top, professional jobs. Low paid, dirty, dangerous, dull, flexible and insecure work is the very type that many nationals of the wealthier EU countries are very content to leave to others. Brain drain: freedom of movement of people can lead to skilled people leaving countries that paid for their education and training to be benefit of the receiving country. This is certainly an issue for the emitting country. But there is also the prospect that many choose return to their country of origin, bringing with them higher levels of human capital, know-how, investment capital and an entrepreneurial mind-set that can contribute to national development. While recognising the pros and cons involved, on balance, most conclude that the freedom of movement of people is a great boon for the individuals concerned, as well as for the emitting and receiving countries. Migration across localities, cities, regions and countries has the capacity to unleash economic development and raise living standards, while also delivering greater satisfaction and happiness at the individual level. It is not a one-way street, but it is worth defending. The reality however is that governments, to varying degrees, are sensitive to the issue of freedom of movement of people. While recognising the great potential and actual advantages of migration, politicians are extremely mindful of emotive public opinion. They are fully aware of the demographic ticking-bomb that is the ageing European society. But short-termism is inherent their profession (4-5 year election cycles) and populism (winning the next local / regional / national / European region election) is the name of their game. They and the media feed upon people´s concerns and fears, regardless of whether these are well-founded or not. Fear, not hope, is their basic working material. The consequence is that none of the EU and EEA governments (the European Commission included) make it easy for people to get access to the information that they need to have a sound basis for deciding whether to move to another country or not. A lot of information is available, but it is fragmented, outdated, uncoordinated, etc. Moving to another country may be something that we consider but we usually do not get far. It takes weeks of research effort to connect up the fragmented dots and build a clear picture of what is involved in moving from one country to another with the EU. We typically lack the time, skills, energy and patience to do this. Relatively few people make use of the single most precious gift of the EU to its 508 million citizens: only 11 million EU citizens have taken advantage of the right to live, study, work or retire in another EU country (or 2.2% of all people in 28 countries). It is clear that some countries are more attractive than others, but the low level of general migration within the EU is not something to fear and deny. Through the EU’s freedom of movement of people, we have almost utopian rights to live our lives how and where we want. If we choose to, we can change our minds and go back home and pick-up where we left off. I am a serial migrant. I have lived in several EU countries and worked in almost 40 countries worldwide. I have benefited enormously as a human being and as a professional. I do not fear migration or migrants. On the contrary, I embrace other cultures, languages, traditions, history, art, ideas, cuisine, and yes, also our differences and our sameness as human beings, whatever our skin colour, language or beliefs. The beauty of the freedom of movement of people has inspired me to develop the MoveMapper™ app, which is designed to bring to together key information in deciding whether to work / study / au pair / retire, etc. in another EU country, starting with Britain and Germany. 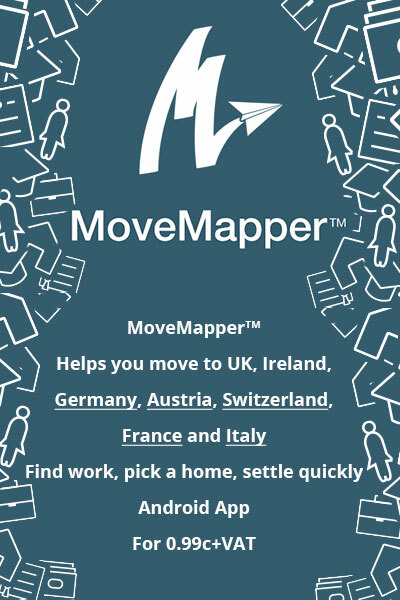 The MoveMapper™ app covers the formalities of moving to another country, how to get accommodation, how to find employment, how to deal with financial issues, how to integrate your family, how to gain education / language skills and other issues. By pulling the relevant information together, the app provides you with the capacity to enrich your life. I do not claim that this is a perfect app, that it has all the possible information or indeed that it is 100% up-to-date. The situation is constantly evolving and maintaining information is not easy. But I believe that it will provide you with sufficient information with which to enable you to decide whether and how to take advantage of the EU’s greatest gift to its citizens. The rest is up to you. The MoveMapper™ app offers information for two countries to start with: Britain and Germany, the countries closest to my heart and which form the focus of my blog: the AngloDeutsch Blog. The free version can be tested for free. The premium version costs Euro 0,99 + VAT per country. When the MoveMapper™ app generates sufficient interest and revenue, I plan to add other countries and update and improve the information available, as well as the app experience. Test MoveMapper™. Rate it. Share it by forwarding it to people who might be interested. Do not fear the freedom of movement of people within the EU; instead, recognise it for the incredible opportunity that it offers to those that choose to make use of it. This amounts to real power, real freedom to shape our lives and those of our families. Labour is going to be decimated in Scotland and the other political parties will have almost no influence there. The clear winner is going to be the Scottish National Party (SNP) and with this development, the dynamics of Westminster-based politics will change dramatically, especially for the Labour Party. The British public, including many traditional Labour voters, remain extremely sceptical about the final Blair / Brown years, which they blame a lot of the issues confronting society, not least being drawn into recent wars, immigration trends and the state of the economy. Many voters will switch to the SNP in Scotland and the Conservatives and/or UKIP in England. Large segments of the general public neither relate to nor trust either Ed Miliband or any of the current crop of Labour leaders. In this respect, I cannot help but experience a sense of déjà vu in respect to the Michael Foot / Neil Kinnock era which bodes ill for the Labour Party. The Conservatives will profit from the above and will form the next government. This is particularly the case because the UKIP vote, though significantly understated in the opinion polls, nevertheless does not seem to be as much of a threat to the Conservatives as previously anticipated. This is as much to do with the current electoral system as UKIP’s almost wilful self-destruction through incompetence combined with persistent gaffes by its candidates that undermine the message that it is neither anti-immigration nor racist. Despite it all, UKIP retains strong support in parts of England. My other two predictions concern the issue of austerity and its implications on British society, as well as the future of Britain in the European Union. Regarding the in-out EU referendum scheduled for 2017, the Conservative Party will finally have to break cover and clarify whether it belongs to the yes or no camp. If the Conservatives are able to form a majority Government, as the traditional party of business, it will ultimately side with remaining in the EU, whatever the pressures of UKIP or the antics of its noisy Eurosceptic wing. After all, the Conservative policy of offering an EU referendum in 2017 was a strategic move calculated to defang UKIP and yet placate the more rabid anti-EU Tories; it was not a decision to leave the EU per se. Their shambolic position on the EU reflects the fact that David Cameron and other senior members of the Conservative Party, on balance, favour remaining in the EU. The political price to be paid for campaigning to remain in the EU is that this will prove to be the second and final term of office for David Cameron as the Prime Minister and possibly as an MP. The SNP, LibDems and Labour will campaign in favour of remaining in the EU. Moreover, the business sector will make its views in an increasingly vocal and forcible manner and the wider pro-EU voice will be more pronounced than has been the case hitherto. Unlike the present time where few speak up, others, such as art, culture and sport personalities will do likewise as a means of counteracting what will remain, in the main, a strongly anti-EU media. Should a coalition Government arise, the LibDems would have to perform much better than anticipated to have a chance of running the country. The other possible coalition partner to the Conservatives, despite protestations to the contrary, is UKIP. If the latter coalition government were to emerge, the political price to be paid to UKIP will be a Conservatives campaign to leave the EU and to hold the in/out referendum in 2016, rather than 2017. A combination of the Conservatives and UKIP running to leave the EU would be a disaster for Britain (as well as the remaining EU countries already battered by the travails of Greece and holding the Eurozone together), which would be very hard to counteract, especially with the majority of the British media supporting their position. Britain would come to regret the likely outcome in the medium to long-term. Under any scenario involving a referendum, the EU will have to show flexibility and do whatever it takes in to facilitate the UK remaining in the EU. As I have previously argued, there will not be fundamental EU treaty amendments for the sake of keeping Britain in the EU boat, such as a reform of the freedom of movement or the other three fundamental freedoms of movement, namely of capital, services (which is extremely underdeveloped) and goods. However, the EC and the EU will be more flexible in areas such as benefit entitlement in the EU area, which in any case is almost entirely determined by nation states, rather than EU directives and regulations. If the referendum were to be held today, I believe the outcome would be an outright rejection of the EU. The great majority of British media is extremely anti-EU and anti-immigration and would contribute to a no vote. However, there could be up to two years for business, society and voters to reflect on the not insignificant advantages of being part of the EU, as well as the potential consequences of Britain going it alone in an increasingly globalised world. A re-orientation towards the old and new Commonwealth and North America is no longer adequate to guarantee current, let alone future prosperity. An emphasis on trade at the exclusion of everything else that the EU brings simply does not cut the mustard in the modern era, where problems such as environmental issues and tax agreements require regional or global responses, rather than national ones. Turning our back on 27 other next door neighbours around us in Europe is simply not sustainable in an economic, social, political or any other sense. I retain great faith in the capacity of the British public to eventually do the right thing. The following Winston Churchill quotation springs readily to mind: “The Americans will always do the right thing… after they’ve exhausted all the alternatives.” Substitute “Brits” for “Americans” and you get the gist of what I mean. The outcome of the EU referendum will be a narrow “yes” majority to remain in the EU. The alternative does not bear thinking about. The last prediction is that the squeeze on the public sector is set to continue for the next few years and it will further transform Britain and its welfare state, resulting in a more divided and fragmented society. There will be a repeat of the pattern set in the previous Parliament, namely a dramatic public expenditure squeeze in the first two years, followed by a gradual let-up as the term of office peters out and politicians look to be re-elected. The Conservative Party does not deny that further cuts in the order of GBP 12 billion in social expenditure are in the pipeline, even if it is rather coy about how exactly this will be achieved. If the last Parliament was anything to go by, the brunt of the cuts will continue to be borne by the more vulnerable members of society, while corporations and the wealthy are spared. There will continue to be a lot of talk about benefit scroungers (British and EU) to justify the cuts which will fall disproportionately on the working poor and non-working segments of British society. The austerity agenda continues to offer handy political cover for a significant reduction in the size of the state and the social and welfare infrastructure, including local government. This is set to continue, spreading more deeply to areas such as police, judiciary, military, etc. since the other options have been largely exhausted. The alternative would be to put the squeeze (e.g. means testing benefits of various sorts, higher taxes, etc.) on the middle classes, the retired and the wealthy; this will not happen if the Conservatives hope to be re-elected thereafter. In the meantime, some of the things that Britons are most concerned about such a shelter (sufficient, affordable and good quality housing), health (NHS, access and quality) and education (primary, secondary and tertiary) will continue to experience gradual deterioration. These are simply not great priorities for the Conservatives. Their traditional supporters are capable of by-passing any current or future shortcomings in state provision and directly accessing the highest quality services that money can provide, though the phenomenon of the “squeezed middle” will ensure that political capital and financial resources will still be devoted to these fundamental themes. Instead, the (EU and non-EU) migrants will continue to act as the lightning rod for people’s frustration with a slowly crumbling system, while those that have been running these very systems for decades or generations are largely spared the British citzens’ ire. After all, if housing is unaffordable and private renting is insecure, the normal response in a modern wealthy country would be to stimulate significant additional supply and/or ensure that appropriate protections are enacted. This will not happen. If there are not enough school places or hospital beds, then public investment should deliver greater supply while still maintaining standards. This is highly unlikely to happen either. Yet it is Westminster that is responsible for recognising, responding to and securing these changes over the medium term, not individual citizens looking to access these services, regardless of their nationality, race or creed. We shall know the result of the general election soon enough. I sincerely hope that most of the above predictions prove to be wrong, in which case I will gladly eat my hat. Britain has had a housing issue over a period of decades which has morphed into a full blown housing crisis. So it is worth asking the question: just how do the leading political parties aim to solve the housing crisis, an issue which has been extensively discussed in the media and which directly affects people´s quality of live? This question focuses mainly on Britain, though the German situation is also touched upon. Is there a housing crisis? 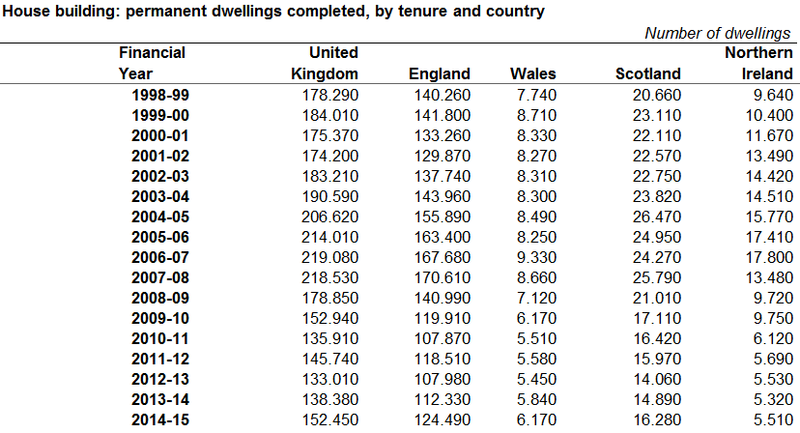 In Britain, no one seriously questions the fact that there is not only a real housing crisis in Britain, but that it is the worst it has been in a generation. In fact the worst situation in a generation does not really capture the issue since the current levels of house building in Britain are actually the lowest in peacetime since the 1920s. Unlike frequent hints and suggestions to the contrary, this is not first and foremost due to an increase in migration from the European Union (EU), which started in 2004, peaked in 2009 and been running at lower levels since. This is not to suggest that net positive annual migration does not impact on housing demand and thus ultimately on house prices. It is to argue that a full-blown housing crisis has taken decades to reach the current level, rather than being a consequence of 11 years of migration from the new accession and other EU countries. Rather, it is the direct consequence of neglect by the leading political parties over generations. Demand for housing is not simply about migration, it is also about the overall population growth, as well as other factors such as regional migratory patterns, trend towards smaller households and various many other factors. To argue, as the media, the politicians and many ordinary people increasingly have, that the current housing crisis is due to migration in general and/or so-called „uncontrolled“ EU migration in particular is quite simply pie in the sky. The other key factor, of course, is supply of housing and here, we see the real problem which has resulted in the current housing crisis. Unlike Germany, where demand and supply are responsive to one another (albeit it with a time lag that is caused by investors, the construction industry and the planning system taking time to react to the changing circumstances), the same does not apply to Britain and has not done so for decades. Quite simply not enough housing is constructed to meet demand. At its core, this is fundamentally the cause of the housing crisis in Britain, though there are numerous factors which deliver this unsatisfactory outcome. Of course, one could discuss the effects of certain policies which have affected the housing policy dynamic, the most important one being the Right-to-Buy policy, which since 1980 has resulted in 1,5 million homes being sold at discount. However, this does not affect demand and supply situation. People still need to live somewhere, regardless of whether a former council owned property is now owned by the last former tenant or not. What are the solutions to the British housing crisis? It is safe to say that one of the two leading parties is likely to lead whichever government comes into power after 07 May 2015. So it is worth asking the question of what they are proposing in their election manifestos to solve this major social and economic ill which affects the younger generations in particular (but not only). These are, of course, also the ones which either do not vote or tend to vote proportionately less than their parents´ and grandparents´ generation. The answer in terms of what they are proposing is, sadly but perhaps predictably, not that much. Labour Party: promises that 200,000 houses will be built annually by 2020, meaning that the numbers will be a lot lower until then. Given that annual construction is currently running at half that number, this is a realistic target but there is little detail on how this will actually be achieved, let alone ensuring that such housing is affordable. Conservative Party: the supply of housing is not uppermost in the manifesto, since the emphasis is on privatising whatever social housing is left, namely the stock that is used by 1.3 million families living in housing associations. There will also be a requirement for local authorities to sell the most valuable properties from what remains of their housing stock (210,000 or 5%). The sales will be reinvested in new housing supposedly resulting in a larger number of new houses built, compared with those sold. The plan is to create 200,000 Starter Homes over the course of the next five years, which will be sold at a 20% discount to for first time buyers under the age of 40. Is the end of the housing crisis in sight? Any way you view the election promises of the two leading parties, the numbers simply do not add up. Even if it were possible to achieve the targets set by 2020, which is in itself doubtful (for example, the Conservative manifesto more or less rules out construction of Green Belt land and the Labour manifesto does not even mention it, referring only to the Lyons Review), neither party is seriously promoting serious, long-term solutions to the housing crisis. Housing is first and foremost a numbers game; the supply has to exceed demand and it needs to be maintained over decades in order to deliver not only sufficient, affordable homes, but also an increase in standards and quality over time. The proposed solutions are not going to do much for the large numbers of people, especially those under the age of 35, who are currently having to live with their parents or paying high rents for low quality private rented housing. The proposed solutions represent yet another missed opportunity to think long-term and prioritise investment in what is a basic human necessity, as well as something which greatly influences our quality of life. The contrast with other European countries, such as Germany, could not be greater as illustrated in a previous post comparing the German and British housing systems. The new AngloDeutsch™ Blog theme will seek to compare and contrast the housing markets in Britain and Germany with the aim of showing that though the two have similarities, such as recent concerns with rents and prices and affordability, in reality, the two housing systems are so different as to be like chalk and cheese. The right to adequate housing and shelter is recognised in the United Nation’s Universal Declaration of Human Rights, as well as many national constitutions. Yet two housing issues unite British and German citizens at the moment; the perception of rapidly increasing rent levels and the fear of being unable to secure affordable housing for rent or for purchase. These issues will preoccupy the population and thus the politicians and media in both countries for the foreseeable future, hence the reason for selecting as the second main focus of the AngloDeutsch™ Blog. In the case of Britain, the housing crisis will undoubtedly be a major talking point in the lead-up to the General Election in May 2015 and for the medium-term. The issues include low levels of housing construction compare with demand, the long waiting lists for social housing, overcrowding, security of tenure, lack of affordable housing due to soaring rents in the private renting sector and high prices of owner occupied homes, at the same time as real wages are being squeezed. It not uncommon for about 50% of net household income to be consumed by housing-related costs in certain parts of the country. The notion of housing as an investment asset, rather than as a fundamental human right is creating tensions and ill-feeling towards the older generations (especially the Baby Boomers who are perceived to be the big winners in the long asset price boom), as well as high net value investors. In Germany, there is a recent trend of increasing house prices, but this must be set alongside a long-term trend of over two decades of real decreases in house prices. The Bundesbank has been issuing warning of the dangers of an over-heating housing market. However, in reality, the recent price increases are modest compared to what has been witnessed in the UK and other EU countries in the last three decades. Nevertheless, the issue of housing affordability is becoming more of a concern, especially in cities such as Hamburg, Frankfurt, Munich and Stuttgart. The growing concerns have recently motivated the German cabinet to approve a draft law to cap rents at 10% above the regional average in areas with a “tight” housing market. The housing system in one country is pretty stable, whereas the other can only be described as volatile. The long-term price trend is declining in one whereas it has increased sharply in the other. One is a nation of house buyers, but the other is a nation of renters. In one private renting is very small and only for those that cannot afford home ownership, but is widely considered to be a high quality, affordable long-term option in the other. Social housing is also an affordable and good quality option in one, but is mostly seen as a last resort in the other, that is if people can actually get on to the waiting lists. One has no rent control and modest tenant protection, whereas both are strong in the other. In one housing construction is a key part of the economy and is mostly targeted at the mass market, whereas a significant proportion of new build, especially in the capital, is speculative and for the wealthy in the other. The differences in the housing structure in the two housing systems. The variation in the house price trends and the reasons for it. The differences in the housing finance system. The reasons why one housing system has consistently delivered high quality, affordable homes, whereas the other has consistently failed to do so over several decades. Part of the rationale for choosing the housing topic is to illustrate that the housing crisis has little to do with immigrants or outsiders (see my earlier posts on this topic), something which is increasingly referred to in the context of Britain being a small, high density island with supposedly no space for further housing construction. If anyone is to blame for the slow build-up of the housing problem, it is the “insiders” who have been entirely in charge of the housing system. They like nothing better than deflecting the blame to all and sundry, especially non-voters, rather than draw attention to themselves and the role they have played or rather systematically failed to play. This applies to housing, as well as other themes of concern in this Blog, including health and education, over which the other favourite target of the insiders for the blame game, namely the European Union, has little or no influence over, let alone control of. I hope you will find the housing theme interesting in the next few weeks. At the same time, I shall continue to cover the issues of immigration and the European Union, so as to keep up a variety of posts. Today, the AngloDeutsch™ Blog was launched. The main reason is that Britain and Germany are countries that are absolutely critical to the future of Europe and the European Union. Yet, there is currently a gap in terms of comparing and contrasting the two countries in terms of various dimensions, such as economics, housing, health, etc. within the overarching context of the EU. It was not always so. In the same year that Britain joined the European Economic Community in 1973, the Anglo German Foundation (AGF) was established in recognition of the fact that the Germany and Britain could learn a good deal from each other, not least to improve mutual knowledge between the two countries and deepen understanding of modern society and its problems. The AGF undertook policy-oriented comparative research on the Britain, Germany and what is now the European Union (EU). It was valuable to compare and contrast countries that were not only the two largest in the EU, which also exhibit rather different social, political and economic traditions. They are two of the largest EU trading and exporting nations, the people respect each other and, despite the differences, or perhaps because of them, they can learn from each other’s ways of doing things. In 2009 the Trustees decided to abolish the AGF, the main argument being: “… other organisations at both national and European levels are now carrying this work forward, and the need for a specific institution for this purpose is no longer so compelling.” (Anglo-German Foundation for the Study of Industrial Society,p.3). I disagree with this conclusion. Some 40 years on, the reality is that the need for comparative analysis and discussion in relation to Britain, Germany and EU is greater than ever before and it is far from obvious which other institutions are carrying this work forward. I believe that the last Trustees of the AGF would probably be astounded at how dramatically things have evolved since their decision to end the institution. The recession that started in 2009 has morphed into full-blown global financial and economic crises. The sovereign debt and the commercial banking crisis drag on and the prospect of deflation still looms large in Europe and elsewhere. 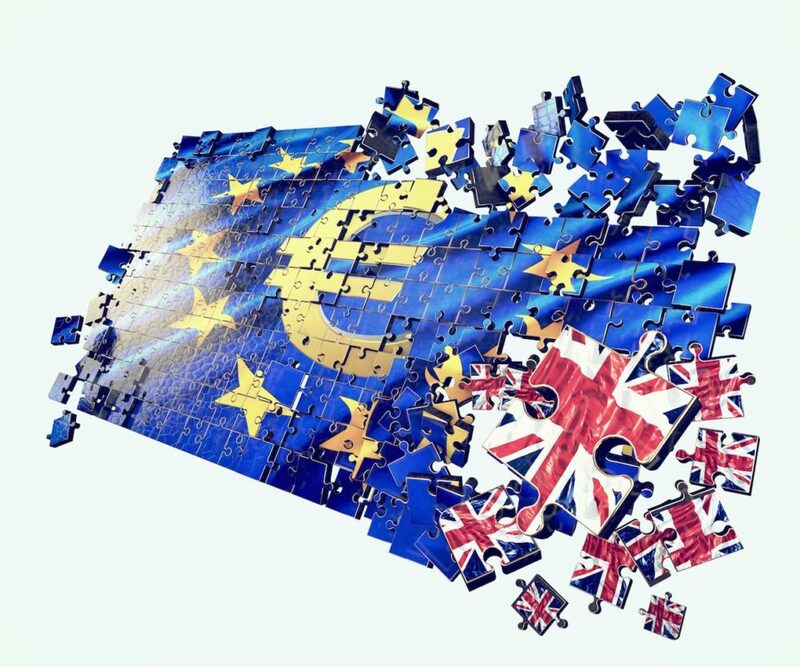 The Euro and the significant political and financial reform efforts connected with ensuring that it is kept alive has resulted in enormous fissures arising between Britain, Germany and the EU countries. These tensions are, if anything, increasing over time. The political strains of keeping the Euro (and thus the EU) together, not least through various forms of austerity, have taken a massive toll on the credibility of the EU as well as the level of cooperation and trust between nation states, not least the German-British-French axis. This applies doubly so to the so-called „PIIGS“ (Portugal, Italy, Ireland, Greece and Spain) and the north Europeans, especially Germany, Holland, Austria, Finland, etc. The UK and DE play a critical role in the future of the EU. Germany has become the undisputed albeit reluctant European hegemon, though the jury is still out as to how long this status will last. The decisions and even ruminations of Europe’s preeminent politician, Angela Merkel, reverberate throughout the EU. The same cannot be said of David Cameron (and still less François Hollande) to the same extent. Still, the UK’s role in EU, influential though diminished, remains critical to the future of the EU (independent Sterling, monetary and fiscal policy, insistence on EU reform and devolving powers to the nation state, challenge to the freedom of movement principle, possible in/out referendum on whether to remain in the EU in 2017, etc.). These stresses and strains are part and parcel of what has become a full-blown crisis of the legitimacy of the “European Project”, as understood since it was formed in 1951 by the Treaty of Rome. A process whose ambition was to “make war not only unthinkable but materially impossible” (The Shuman Declaration, 9 May 1950) was not and could never have anything short of an economic, social and political project, even if the discourse was principally economic. This ambition was not merely a Franco-German idea. Immediately after WWII Sir Winston Churchill was one of the first to call for a “United States of Europe” (“We must build a kind of United States of Europe. In this way only will hundreds of millions of toilers be able to regain the simple joys and hopes which make life worth living. ” 1946, p.1). The ambitions of the European Project have always been understood in its wider sense by its founder members, not least Germany, because of its particular historical specificities. However, this ambition was and remains almost entirely an economic or trade issue in pragmatic Britain. Longstanding concerns about the legitimacy of the EU, the steady erosion of the powers of the nation state (contrary to the principle of „subsidiarity“), the implications of principle of freedom of movement and indeed of the limits to the notion of „ever closer union“ in the EU have been forced to the foreground by the Euro crisis. These issues must be debated and tackled to maintain legitimacy with the people as well as the governments of all 28 EU nation states. The future of the Euro and the EU (e.g. EU reform and in/out referendum in 2017). The advent of anti-EU / Euro parties (e.g. the Ukip and AfD). The solutions to the recession / depression, austerity and falling standards of living. The debates on the future of housing, education, poverty, migration, health, ageing, etc. But also the more fun things in life, such as sport and traditions such as Christmas. Through the AngloDeutsch™ Blog, launched today, focuses mainly but not exclusively on Britain, Germany and the EU, it is hoped that a contribution can be made not only to better understanding in general but also to possible economic and social policy solutions and recommendations. This would be in keeping with the tradition of the now defunct AGF, even if the focus of a blog cannot be on rigorous academic research per se. Focusing on the British and German perspectives has gained in salience. The target group of this blog is not the academic community, interest groups or indeed the politicians, though it is hoped that they too will get involved and/or be influenced by the AngloDeutsch™ Blog. The target group is anyone who has enough humility to be willing to learn about alternative ways of doing things, discuss different views and maybe implement some of the ideas, taking into consideration the uniqueness and specificity of every nation, region and locality. This aim is illustrated in the Box below. The AngloDeutsch™ Blog aims to contribute to the policy process in Britain, Germany and the EU more generally by raising comparative economic, social and political issues and by stimulating an exchange of knowledge, views and experience between informed citizens in the two countries, as well as the EU. Christmas traditions (since the blog is launched in December). The future of the EU. Other themes will follow as the blog evolves.